ISB is made up of an experienced group of management and faculty members who strive to provide students with an excellent study abroad experience. Francis holds a BA in French and Irish (UCC), a Master’s in Irish Studies (Université de Lille, France) and an MBS in International Marketing (University College Dublin). He has been involved in international education for over 20 years, gaining extensive senior management and lecturing experience in Ireland and France. As well as being the director of the International School of Business, Francis is also the Campus Director for CEA Dublin, an American study abroad organisation. He is also a member of the Marketing Institute of Ireland and the European Association for International Education. Darragh holds a BSc in Management from the Dublin Institute of Technology and an MA in Advertising from Trinity College Dublin. Prior to transitioning into international education, Darragh worked in sales, marketing and event management and has a vast array of professional knowledge in these areas. He has 13 years of experience in both lecturing and senior management in small and large academic institutions. 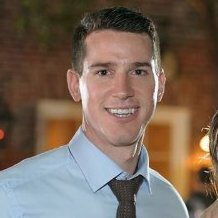 Colin has BA in Communications from The University of Iowa and an MSc in Marketing from Dublin Business School. His involvement in international education began as a student, back in 2008, and he’s been working for various study abroad institutions for the past six years. Colin also lectures in the area of marketing and communications. Prior to this, Colin lived and worked in the US, primarily in the marketing sector. Damien has a BA in Arts from Maynooth University and an MSc in Business Management from Dublin City University. Previous to working for ISB, Damien spent 2 years in Asia and Australia. He has experience in sales working for Appco Australia and worked for several years as a Relationship Manager in commercial finance at Allied Irish Bank. Damien lectures in Marketing, International Marketing, Digital Media and Irish language studies. Laurence has an honours degree in French and Linguistics from University College Dublin, and has worked in administration for over 15 year. Originally from France, she started working with International Students on Semester Abroad programs in 2015, where she was able to combine her interest in Second Language Acquisition and her first hand experience in living abroad, assuring the best support for students. Philip is a graduate of the Marketing Institute of Ireland and has extensive sales and marketing experience in the FMCG sector. Philip has worked for a range of top brand names in senior positions and now runs his own consultancy agency. He also lectures in a number of Dublin colleges in the areas of marketing, sales and event management. Stephen holds a BA (Hons.) in Economics and Geography from NUI Maynooth and a MA in Economics from University College Dublin. He has industry experience in stockbroking with Money Markets International and in aircraft leasing with Guinness Peat Aviation (GPA). Stephen has lectured for over 20 years with numerous colleges in the economics, finance and management areas. He has been a guest lecturer for University of Reading, University of Minnesota, Stevenson University (Maryland) and Lynn University (Florida) and is a member of the Academy of International Business. In addition to chasing after his young family, Stephen is a keen cyclist and skier. Jessica holds a First Class degree in French and German from the University of Bristol, UK, part of which involved a DAAD scholarship to study at Bayreuth University, Germany. She has nine years experience teaching languages (French, German and English as a Foreign Language) at a range of educational institutions, including Tsinghua University in Beijing, Dublin City University, and as a volunteer teacher at the Migrant Rights Centre Ireland. She enjoys the vibrant atmosphere of a foreign language classroom, as well as working with students of different nationalities. Yoga, music and singing are her main interests outside the classroom. .
Caroline is a Dubliner, and lectures at Champlain College Dublin, and All Hallows College (Dublin City University), where she teaches courses in Irish literature, Creative writing, Academic writing and Irish music. Currently completing a PhD at Queen’s University Belfast, Caroline is a graduate of St. Patrick’s College Drumcondra (Dublin City University), where she earned a B.A. (Hons) in English and Music; and subsequently undertook postgraduate studies at Trinity College Dublin, where she read for both the Higher Diploma in Education, and an M.Phil in Anglo Irish Literature. She is an experienced educationalist, and has taught at primary, secondary and third level. Gerry is a Chartered Accountant and graduate of Queen’s University Belfast in Economics and Accounting. Before setting up his own financial consultancy, he served as the Financial Director of Finance and Leasing for the Jefferson Smurfit Group PLC. Gerry has delivered training and mentoring on a number of programmes including Enterprise Start, M50 EPP, NOVA UCD, Create and Genesis EPP. In his most recent venture, he purchased and established a successful franchise operation. Gerry is also an Associate Lecturer with University of Ulster. Michael holds an MSc in Management Theories and Philosophies from Glamorgan University and has lectured at University College Dublin. He has eleven years experience of managing an internationally trading company of 600+ staff. He is Director of the Irish Institute of Purchasing and Materials Management (IIPMM) and also Director of Waterford Youth Arts. Tim is a graduate of University College Dublin and the Honourable Society of Kings Inn (Barrister at Law). 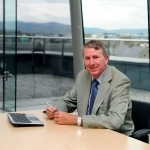 Tim has extensive commercial and legal experience and is also a member of the Marketing Institute of Ireland. He currently lectures in a range of Dublin colleges in the area of business law. Kelli holds a Doctorate in Anthropology from the University of Massachusetts at Amherst and a Bachelor’s Degree in Anthropology from Goddard College in Plainfield, Vermont. She has lectured in Heritage Management at the Dublin Institute of Technology in the School of Hospitality Management and Tourism, where she also spent her Fulbright Research and Teaching Fellowship. She is currently a lecturer in Irish History at Champlain College, Dublin. Kelli is an avid horse rider and has trained show jumpers. She is also an avid photographer and filmmaker. Ivan holds a BFA from New York University. He has 15 years teaching experience in Ireland and the US, with a specialisation in English. 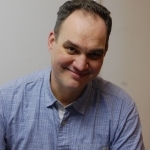 Ivan is also a freelance writer/editor and has several published pieces of work, including a children’s book that reached the New York Time’s Best Seller list.